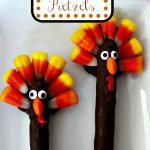 How fun and cute are these DIY Pretzel Pumpkins!! 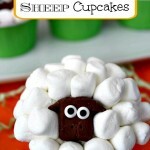 Would you believe that you can make these with just 3 ingredients? Okay, four ingredients if you want to draw the funny little faces on them. But still, that’s nothing. 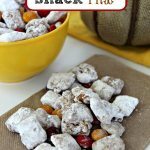 These are really easy to make, and it gives you that perfect snack of sweet and salty. 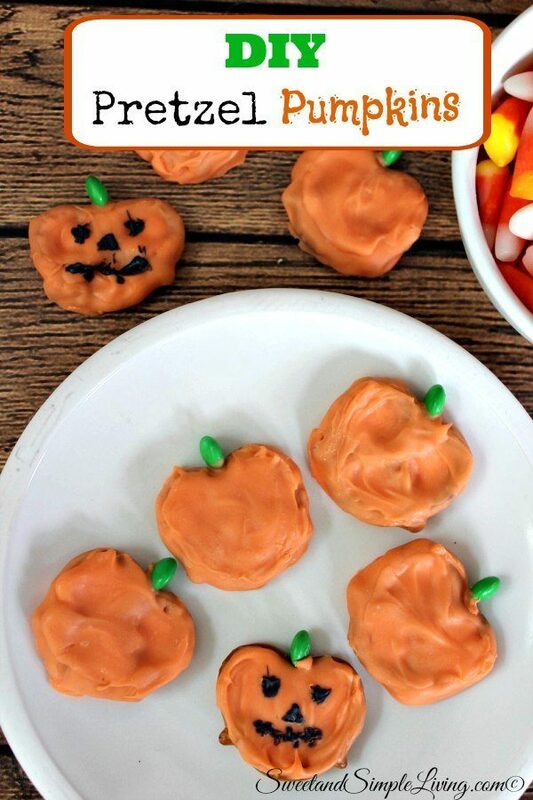 This recipe will make 24 of these cute little pumpkins, but you can easily double or triple this recipe to make a larger batch. No matter how many you make, they will probably go fast so just be prepared. 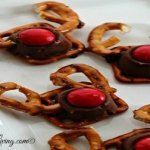 Line a cookie sheet with wax paper and then lay the pretzels out in a single layer. Heat the orange candy chips by microwaving for 30 seconds, stirring and repeating until melted. Allow to cool for 2-3 minutes. 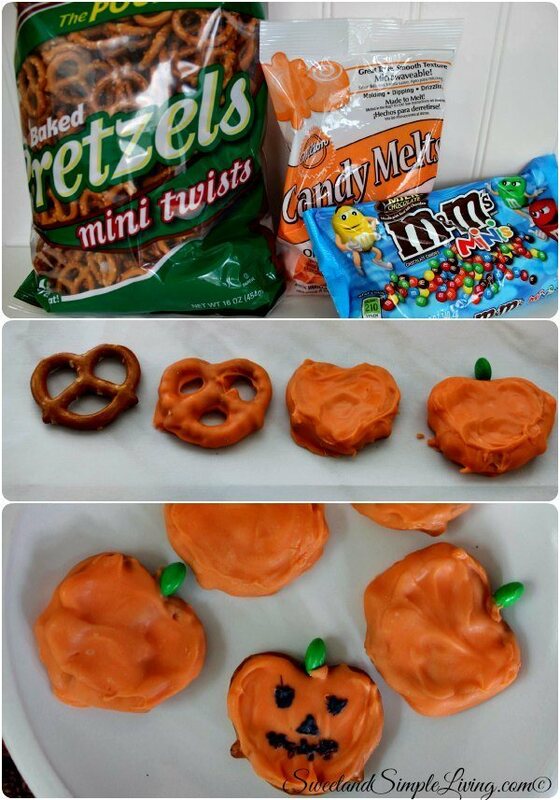 Dip each pretzel in orange candy to coat the entire pretzel and place on the baking sheet to set. Transfer candy to corner of zippered bag and clip a tiny piece off of the corner to pipe. Pipe candy over inside of pretzel (where the holes are) to form the shape of a pumpkin. Smooth with spatula or finger if necessary. Place 1 mini M&M on top (where the indention is) for the stem. Add more melted candy on M&M as glue if needed. 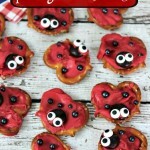 These DIY Pretzel Pumpkins are so adorable! 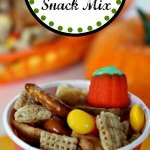 You may also want to try our Easy Pumpkin Pie Fudge or Spooky Pretzel Bones! 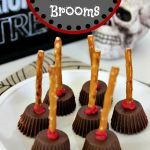 Looking for more fun Halloween Recipes? 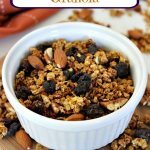 Try THIS COOKBOOK! You can get it for FREE with Kindle Unlimited!